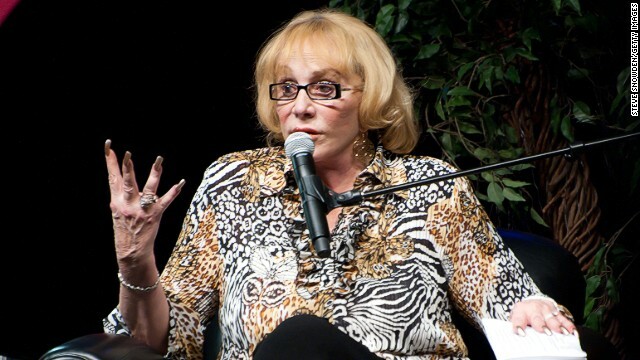 Sylvia Browne the world renowned psychic passed away this past week at the age of 77. She leaves behind a powerful legacy. Besides writing countless books Sylvia made it publicly acceptable to believe in communication with the deceased, opening the door for psychic mediums to share their gifts with others. A believer in reincarnation as well as God, Browne conducted thousands of hypnotic regressions and hundreds of trance sessions to help people around the world, according to her official biography. She explained on CNN’s Larry King Live that she both communicated with the dead and looked into the future. Her following extended well beyond those she helped directly. Some got to know her through her writings, others through the media — including appearances on “Unsolved Mysteries,” “Loveline with Dr. Drew” and “The Montel Williams Show,” on which she was a weekly guest for 17 years. She worked with the police on many murder investigations. The police considered her were very informative. I had a private reading with Sylvia Browne twelve years ago. I had been on a waiting list for two years and wanted her to communicate with my deceased father. I had received countless messages from my father, but I was hoping she could go even farther than me. The moment we got on the phone I started to ask about my father, but she stopped me and said, “What is wrong with your health?” That in itself blew me away because never had a psychic picked up my severe health issues. I gave her a brief rundown and she made suggestions to help. The answers Sylvia received from my father were exactly what I had gotten, and that was comforting and reassuring. I did not ask about my mother. So it surprised me when out of nowhere she said, “You know your mother was insane don’t you?” I could not believe that message because I had always thought this, but did not know if it was true. My mother was not a kind woman to me and never showed any love. She told me every chance she got how stupid I was. She tore down my self esteem enormously. But hearing this message from Sylvia, who did not know my mother or myself, really set me free from a lot I had suffered throughout my life. There will always be people who claim she was a scam artist, but I know she was the real article. There is no psychic on this planet who can be 100 percent accurate all the time and people like to pick on the answers that were not accurate instead of looking at how much she gave that was precise. If you have never done psychic work you would not fully appreciate all that she was able to do and accomplish. Needless to say she will always be remembered as one of the first psychics to bring spiritual communication to the masses. Thank you Sylvia for all that you gave and all the work you did that will live on. “The other side is magnificent. Unexplainable colors, landscapes, the meadows and the mountains. When you see something that gorgeous, how do you explain that? Have I Met You Before in a Past Life? Have you ever met someone and felt that you have known them before? Do you find that you know certain aspects of this person’s personality and yet you have never met before? There is a good reason for this. It’s a strong possibility that you have been together in a previous lifetime. That’s why the connection is instantaneous. The very fact that we are drawn to certain people and certain places is a reflection of the dim memory of previous lives we all possess. The first time I had this experience was when I was an atheist in my early twenties and I met a man that I knew I had known before in another life. That was quite remarkable considering I had no spiritual beliefs at that time. Obviously I have developed a spiritual belief and understand life after death since my earlier years. Since that first meeting with someone I felt I knew before I have had it happen on other occasions. When I was working on my doctorate I was allowed to choose any study I wanted to add and I chose to study past lives. I had countless sessions with a past life regression specialist and saw many of my past lives, even though I was an open minded skeptic. Let us go back to this man I met in my early twenties. I eventually married him and he was my second husband. Our entire relationship was combative and ended terribly. I wanted to know where we had met before. So the regressionist took me through the process where I was able to go back in time and see where I had met this man before. We met approximately 600 years ago and I was an older man with long gray hair and a gray beard, who was an Alchemist, and lived basically as a hermit inside a mountain cave in the northern part of England. I constantly worked on herbal formulations to heal different ailments. I was called upon by these surrounding people to help whenever someone they love was sick and my potions healed many. This man came to me as a young apprentice who wanted to study with me and help go out and heal people like I did. I was leery of him and took my time showing him the most simple of things to do and I let him practice on animals to see if he really had the healing gift. In time he proved himself to me and I treated him like my son. We worked together for many years until he had learned almost everything I knew. I never fully let him know all of my secrets. Once he felt that he had learned everything from me, he left our cave home and took off to the next country and the city where the King lived. He managed to get an audience with the King and was able to show him his healing powers. He became the head Alchemist and personal physician to the King. His fame and wealth spanned many countries. I continued practicing as I always had and never took in another apprentice. I lived in my cave alone surrounded only by my animals until my death. Needless to say this was quite an amazing experience. It really made sense to me because we were always competing with one another in our marriage to see who knew the most and could outdo the other. And he left me abandoned and went off to another country. This was the most astounding past life regression I ever did. In my other past life regressions I was always a normal person and never someone famous or important. In one I was a blacksmith, another I was a wealthy woman in France deeply loved by my husband and children but died at a very young age; I traveled across the prairie in a covered wagon in the 1800’s, I was a commander in a Middle Eastern army about 3,000 years before and I was a leader who fought and killed many. The last past life we were able to get during the sessions was around the turn of the century into the twentieth century and I was a woman who was a housewife but addicted to opium and eventually died from drug usage. What Is The Significance Of A Past Life Experience? Why we are shown a past life often has to do with how we have evolved throughout our different lifetimes. The main reason for reincarnation/past lives is for our soul to grow and learn from each life time. Reincarnation can happen in linear time. Your next life may actually occur in the past! How is that possible? Because your innermost spirit/soul exists outside of time and space (reference The Time Space Continuum) and can travel to wherever and to whenever it wants. The findings of quantum physics increasingly support Plato, who taught that there is a more perfect, non-material realm of existence. Ravi Shankar the famous sitar player, who taught George Harrison of the Beatles how to play the sitar, was born with a scar from one side of his neck to another. As soon as he was old enough to talk he recalled being horrifically decapitated as a child, in another lifetime, by a relative who was hoping that he would inherit the child’s father’s wealth. When his claim was investigated it was found that the person he claimed to have been, did in fact die by decapitation. American mystic Edgar Cayce who considered himself to be Christian promoted the theory of both reincarnation and karma, but they act as instruments of a loving God as well as natural laws – the purpose being to teach us certain spiritual lessons. General George S. Patton was a staunch believer in reincarnation. In particular, Patton believed he was a reincarnation of Carthaginian General Hannibal. He felt that he won many of his battles because he could see them before they happened. There are endless books written on this subject and I have given you some examples above. The bottom line is to keep an open mind and realize that spiritual truths go way beyond what we can think of in our limited capacity. If you would like to have a past life session, call me and we will arrange a time for you to go back in time. Did You Enjoy The Past Life Radio Program? For those of you who listened to the radio program today I’m sure you received a lot of information to make you think more about past lives and how that relates to your life today. It was a wonderful program and I’m thankful that Anna joined me as my co host and I want to thank all of those that called in with topical questions. I felt it was a fantastic show and for those of you who did not hear it live you can listen to it by clicking on the link below. Join us for the next program on April 8 when we will be talking on Karma. Next Radio Show March 25, 2010 at 6:00 PM Eastern Standard Time, 3:00 PM Pacific Standard Time. Have you ever had an experience where you met someone and felt like you knew them before? Perhaps you did in another life. Reincarnation, literally “to be made flesh again”, is the belief that the soul, after death of the body, comes back to earth in another body. According to one belief, a new personality is developed during each life in the physical world, but the soul remains constant throughout the successive lives. Anna and I will be discussing Past Lives and Reincarnation. Please join us for this program and call in with your questions about these topics. Call in and add your questions and thoughts to the program.